Black Portable Lavalier Microphone features with collar clip,Omni directional condenser and low handling noise. It is also easy to use and carry. 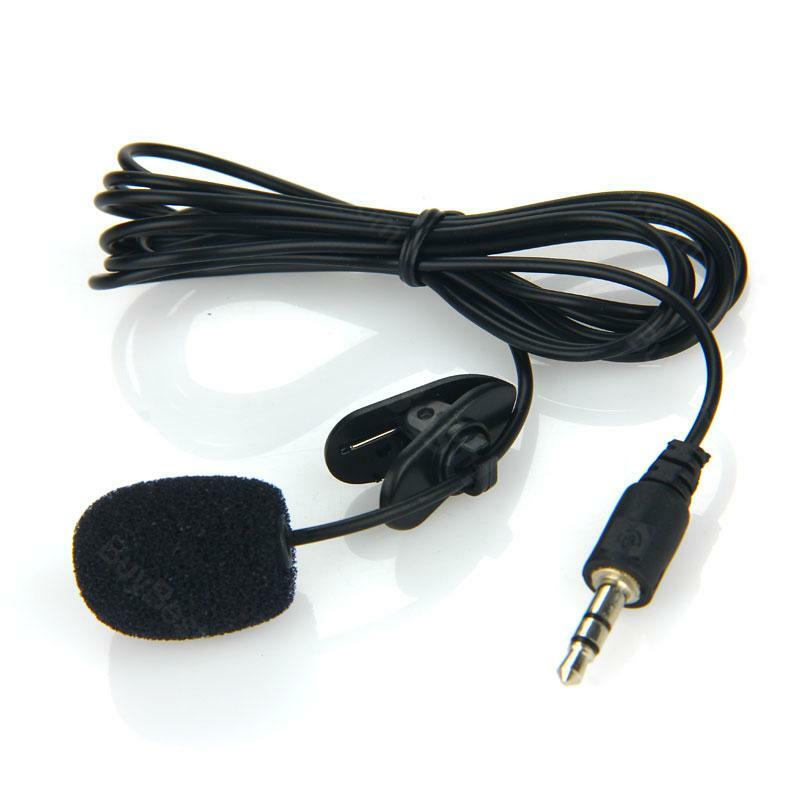 The Black Portable Lavalier Microphone features with collar clip,Omni directional condenser and low handling noise. It is also easy to use and carry. • Compatible for Iphone/ Ipad, Ipod touch, and most of Android devices. I bought these for my iPhone X because I wanted to improve the sound quality and pick up more of the sounds around me. As you know, the iPhone X does not have a traditional headphone jack. It does have a lightning port and comes with a audio to lightning adapter. With that, this microphone is plug and play! It was super easy to setup and it seems to work well in my initial testing. If you want to check out my full video review, go on you tube and search for the same username as you see here. For the price of this microphone it is a pretty good quality! I bought this to start recording youtube videos on my phone. I thought this would be a cheaper investment than a brand new camera and boy did it make the video quality tremendously better! I was worried about the length of this cord but it was long enough to work for what i needed! All in all an awesome investment! If you're recording into a phone, certain recording applications do not work with external mics. If it doesn't seem to be working, download another one. Also remember that for playback on a phone, you need to disconnect the mic from the phone to hear it. This is a great wireless setup for camcorder or DSLR. The microphone has a good sound to it, is relatively sensitive without being overly so, and you can attenuate/boost on both the transmitter and receiver. They're not cheap, but you're getting what you pay for, quality with a solidly build. This little unit does not disappoint. It records clearly and well. If I were to suggest improvements, it would be a bit better of an off/on / recording switch set up, but is easy to learn, a bit hard to unobtrusively flip on before speaking. Amazing audio quality, especially for the price. Works with my iPhone 8+ using the adapter to audio jack that came with my phone. I am very happy with the rich audio quality I get when recording with this microphone. It picks up a lot of the deep bass tone in my voice and has a nice signal that I don't have to EQ in post to improve upon. Very satisfied. Best part about this microphone is that it is compatible with many devices, you can use this with your phone, voice recorder, tablet and other devices with appropriate adapters. It does include an adapter for smartphone and computer. Overall this microphone is great for recording audios for videos and I’m very pleased with the quality of this microphone.